Are you looking for someone fluffy and soft? Smooth and sofisticated? Sweet and affectionate? Well then look no further. 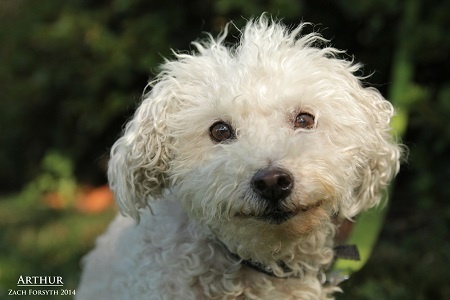 I’m Arthur, the 10 year old Bichon mix and I’ve got just what you’ve been looking for. Silky white fur, Check! An older, mature gentleman, Check! Plays well with others, Check! Oh and I’m sweet as can be. How can you say no? Let’s meet and you won’t be able to resist. Fill out an application at Pixieproject.org to schedule a rendezvous. I’m neutered and current in vaccines. Adoption fee $100.